Carriage-house style garage doors, steel frame, insulation-optional.When budget is the deciding factor, this low-maintenance, insulation-optional steel frame carriage house style garage door combines clean lines and classic charm to provide a popular style at a great value. 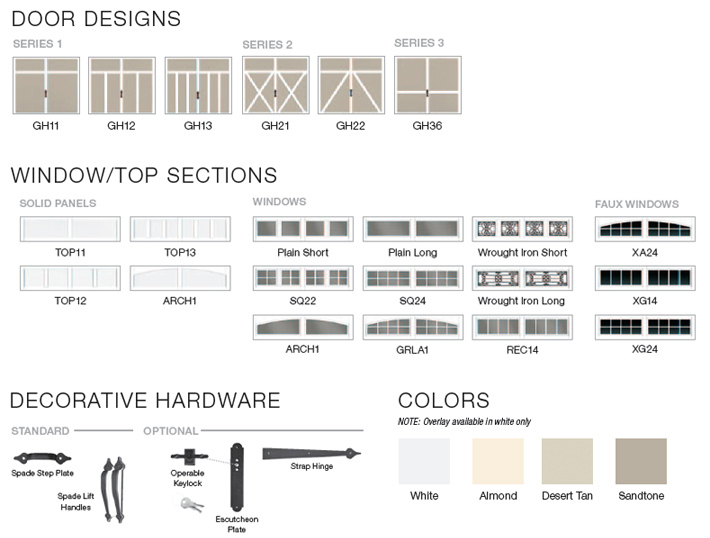 Accented with decorative hardware, these doors have the appearance of a swing-out door, but operate with the convenience of automated overhead operation. 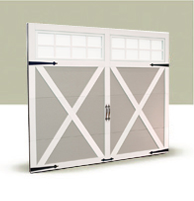 Woodgrain embossed 24 gauge 2″ steel frame construction with 1/2″ smooth composite overlay creates authentic carriage house styling. 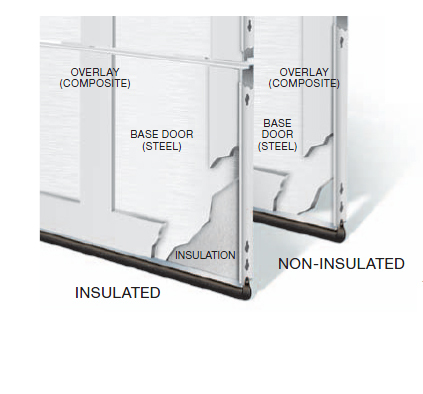 Optional 1-5/16″ vinyl-backed insulation improves energy efficiency.